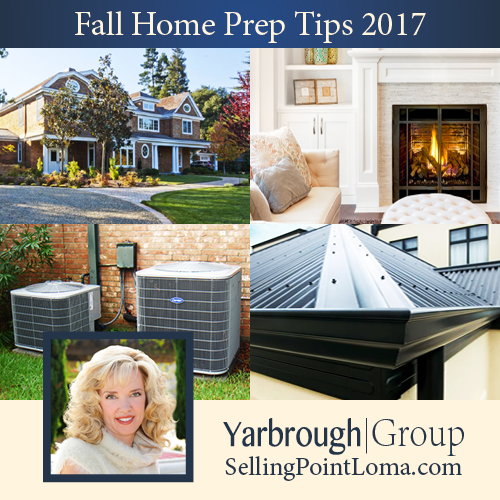 With summer drawing to a close, this week on the San Diego Real Estate BLOG, we help you get your home prepped for fall. 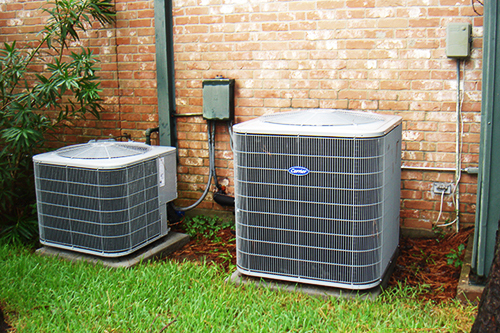 This should be done at least once a year, twice if you use your HVAC daily. You know your house better than anyone else, so slightly close the vents in rooms that tend to stay warm and open vents in rooms that tend to be cooler. Also slightly close the vents closer to the heat source so the the rooms farther away get more heat. Beat the rush. IF there is something wrong with your Heater, it’s better to know now before the weather actually gets cold and everyone else with a issue with THEIR unit is also calling the repair man. While the wait time for an appointment may be day now, once the weather gets cold, the wait tends to be more on the order of WEEKS. A few dollars and a bit of inconvenience now will make for a much more comfortable fall/winter. Nothing will ruin a cozy evening at home faster than lighting a fire and having the smoke backup into your home causing (potentially) thousands of dollars in damage. 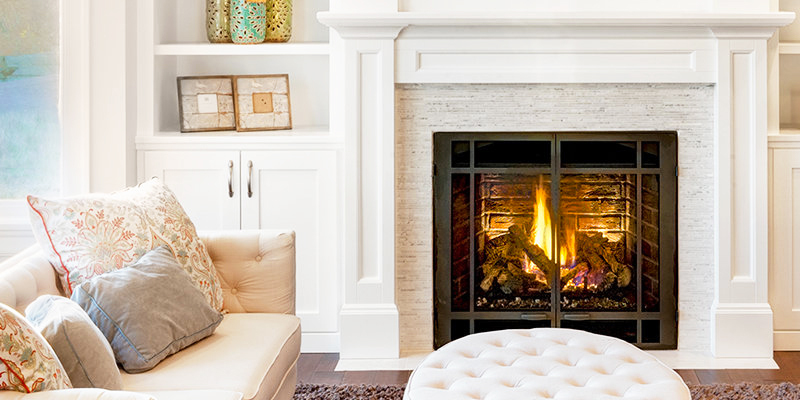 Improper fireplace maintenance, in severe cases, could even lead to home-threatening damage. Have a professional chimney sweep (yes they still exist) come out, inspect your chimney, and fix any issues. Then spend the few extra dollars on a new spark arrester. $40 weighed against your home (or your neighbors) burning down is a no-brainer. 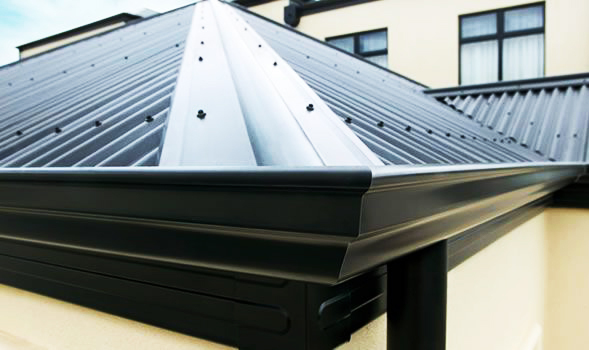 Your roof is your first and best line of defense against the elements and the rain gutters and a integral part of your roof and its proper functioning. Grab the ladder, give the roof a visual once over, and while you are up there, clean out the gutters so that any rain we get this winter will have an easy path down off the roof. Make sure you have any needed repairs made before the weather gets cold. Again, a stitch in time saves nine. Fixing your roof might be expensive now, fixing the roof AND repairing the damage later will be crazy expensive. While we don’t usually get a ton of rain here in San Diego, you should give the exterior of your home a visual once over before things turn cold/wet. Water anywhere inside your home is recipe for slow, steady damage that can range from simply just looking bad, to potential structural instability, or even something insidious like mold. Check your windows, trim, walkways and driveways, and take the appropriate steps to have the damage fixed BEFORE the rain comes. We hope you enjoyed these Fall Home Prep tips. Be sure to check back regularly for even more helpful Real Estate tips and tricks from The Yarbrough Group, your San Diego Real Estate EXPERTS!! !